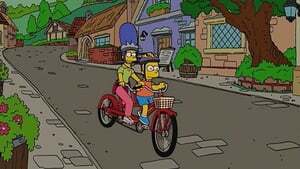 The Simpsons' seventeenth season originally aired between September 2005 and May 2006, beginning on Sunday, September 11, 2005. It broke Fox's tradition of pushing its shows' season premieres back to November to accommodate the Major League Baseball games airing on the network during September and October of each year. After Homer gets into trouble over his football gambling debts, he allows the Springfield Mafia to shoot a "snuggle film" in the house without Marge's permission. 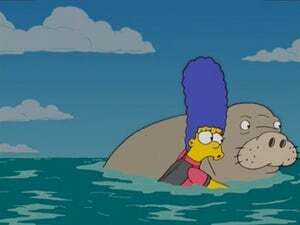 When she and the kids return home from a trip to "Santa's Village" and find production still going on, a furious Marge leaves for the beach and encounters a marine biologist named Caleb Thorn who has dedicated his life to saving manatees. After the family successfully protest against a stamp museum being built next to their house, a cemetery is built near the Simpson house instead, making the normally unflappable Lisa realize that someone as smart as her can be afraid of something. 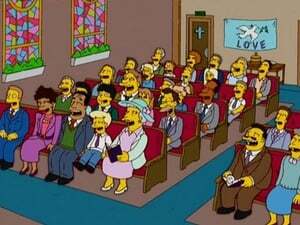 When Maggie is showing signs of being ill, the family goes to “the more boisterous house of worship” in town to find Dr. Hibbert, who tells them that Maggie is developing the chicken pox. After Maggie develops the disease, Marge tries to keep Homer away from her, since he has never had them. After Flanders expresses an interest in getting his kids infected, Homer and Marge open up the house for a “pox party.” Milhouse’s divorced parents are both at the party and after some “Margerita’s” are consumed, find themselves getting back together. 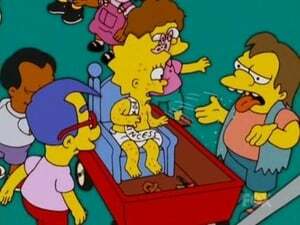 Meanwhile, Homer has developed the chicken pox and Marge tries to keep him from scratching. 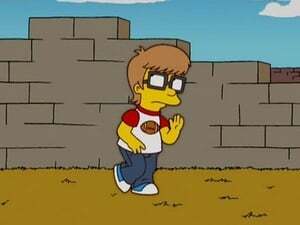 Milhouse likes the idea of his parents getting back together, but then begins to hate it when he has trouble getting either of them to pay any attention to him. After seeing an episode of The O.C. Milhouse and Bart come up with a plan to get his parent’s separated again, they plant one of Marge’s bras in Kirk & Luann’s bed. They don’t succeed in breaking them up; rather they break up Homer and Marge. Even after Bart confesses his guilt, Marge doesn’t want anything to do with Homer, since he obviously doesn’t trust him anymore. Bart concocts an outrageous scheme to get them back together, but it goes terribly wrong and both he and Homer find themselves in the river heading toward the falls needing to place their trust in Marge. It is game six of the World Series and Kang and Kodos decide to speed up the play of the game and they fire the acceleray. They shatter the fabric of the universe and everything is destroyed. a). "B.I. : Bartificial Intelligence" Bart falls into a deep coma from which he will never emerge. Well Bart does wakes from his coma only to find that his family has replaced him with David, a newly developed artificial robot son. Bart struggles to fit back in with his family and Homer and Marge decide they must get rid of one of their sons. 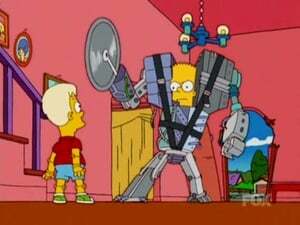 They abandoned Bart, but harvesting parts from some abandoned robots he gets his revenge. The robot nightmare only turns out to be a dream when it is revealed that Homer has actually been possessed by the devil. b). "Survival of the Fattest" Homer and others are invited by Mr. Burns to his estate for “A Most Dangerous Game.” It turns out that they are participants on “The World Series of Manslaughter” featuring guest analyst Terry Bradshaw where they are the quarry and Mr. Burns is their hunter. Surprisingly Homer is the last contestant left standing, but it takes Marge’s intervention to even the score. c). "I’ve Grown a Costume on Your Face" It’s the Springfield Semi-Annual Halloween Party but the costume contest goes awry when a real hideous witch turns everyone into real-life versions of their costumes. Lisa, as Einstein, searches for a solution to their problem; but it is up to Maggie, who was dressed as a witch, as the only one with the power to reverse the spell. The family is at Paradise Pier, where Marge was looking forward to riding the Ferris wheel all her life, only to find out that it is being dismantled with some of its equipment being sold. Homer purchases a dumbbell while Marge gets a tandem bicycle. When Marge wants to take the bike for a ride, she finds that Homer is a less than willing participant. She tries it on her own and falls. Realizing that his mother might actually be lonely, Bart offers to go for a ride with her. They ride into an unincorporated part of the county and come upon a small village that features a tea house. Later the tea house closes forever causing Bart to invite his mother to his treehouse for tea. Marge redecorates the treehouse and the pair goes off to get a new tea service where he gets a Krusty Teapot. Outside the store the bullies accuse Bart of being a “Momma’s Boy,” which causes Bart to rebel. Marge goes into a depression and eventually sells the bike. Feeling bad, Bart offers to compete with her in a karaoke contest. While seeing Skinner and his mother perform, Marge has visions of a terrible future for Bart and she stops the show to let Bart know that he shouldn’t worry about her, it’s her job to worry about him. Meanwhile at Moe’s Homer shows off the strength in one of his arms he’s gained from working with the dumbbell and Moe has an idea on how to capitalize on it. Moe takes Homer to the arm wrestling championships, where Homer readily wins, but finds that he really misses his wife. Homer is ready for everyone to shower him with gifts on Father’s Day and Marge and the kids go to the mall to obtain the presents. Lisa decides she is going to make something for her father, while Bart purchases the Leather Buddy multi-function knife. Lisa’s heartfelt gift doesn’t go over as well as Bart’s knife and Homer doesn’t immediately do anything to make Lisa feel any better. Bart sees a street sign with his name on it and the bullies entice him into stealing it. Homer makes a lame attempt at making up to Lisa. At school Lisa goes on a rampage. Citing her father as the cause, Principal Skinner and the school psychologist talk with Homer and Marge about what they can do to prevent Lisa from growing up to hate men. 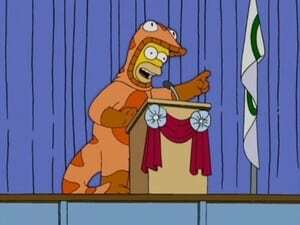 Homer becomes the school safety salamander. 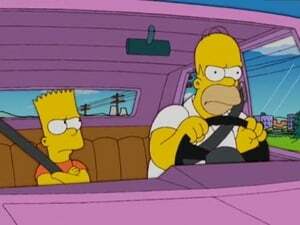 His initial pathetic attempts at safety don’t change her feelings for her father, until an accident at the intersection of Evergreen Terrace and the unsigned Bart Blvd. The safety salamander rescues all the victims of the accident and Homer is awarded the keycard to the city. Then the mayor comes under fire for the many disasters under his administration and it is decided that a recall election is going to be held. With a number of ridiculous candidates running, Lisa decides that her father, with his popularity as the safety salamander, would be the ideal choice. With Lisa as his campaign manager, everything is going well, until Marge washes his salamander suit. When it shrinks and tears apart is reveals the man underneath, whom nobody is interested in voting for, but at least Homer and Lisa strengthen their relationship. Finally when none of the candidates garner enough votes to take over as mayor, it’s business as usual in Springfield government. The mayor’s estate is used for Springfield’s Easter celebration, and in the course of the events, Homer embarrasses Marge in front of some new potential friends. To make it up, Homer decides to find her some new friends, with little luck. Marge finds some new friends on her own, Tammy and other members of “The Cheery Red Tomatoes,” a group of women of a certain age. This group has plans for a fund raiser; they intend to rob Mr. Burns of 1 million dollars, an amount he once promised to charity. Homer finds out about the plan and tries to stop her from doing something she’ll regret. Meanwhile, Lisa in search of summer opportunities decides to spend the summer in Rome. Lisa tells Principal Skinner that she speaks fluent Italian, since she really doesn’t she tries to take a crash course and winds up hiring a tutor that turns out to be Milhouse. After being humiliated by Mrs. Krabappel's class, Mr. Burns finally decides to buy a new car, so he orders a Lamborgotti Fasterossa. He sends Homer and his family to the factory in Italy to pick the car up. The family takes a tour of Italy in the new car, but an accident with the car and a cheese truck has the family pushing the car into the town of Salsiccia. They find out that only one person in the town speaks English and it happens to be their mayor. 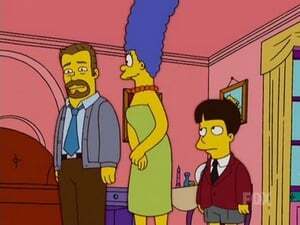 The family goes to meet the mayor and they are surprised to see that it is Sideshow Bob, and he is equally surprised to see them. 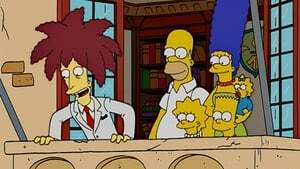 Sideshow Bob tells them how he came to Italy, become mayor and started a family with his wife (Francesca) and son (Gino). He hopes that the Simpsons will keep the secret of his criminal past, but Lisa’s first exposure to drinking wine leads to loose lips, which sinks his ship. Sideshow Bob, being no longer welcome in his new home, swears a vendetta on the Simpson family. 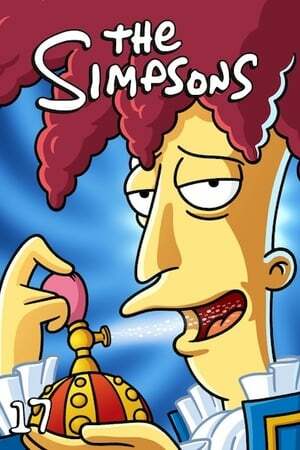 The Simpsons go on the run from Sideshow Bob, who is joined by his wife and son as the vendetta affects their entire family. In Rome, the family discovers that Krusty is preparing to perform the lead in “I Pagliacci.” The Simpsons hide as extras within the show, but Krusty gets tossed off-stage only to be replaced by Sideshow Bob, whose family has the Simpsons surrounded. Krusty and his limo save the day, while Sideshow Bob and his family adjust to their unresolved vendetta. When Reverend Lovejoy and Ned Flanders are unable to deliver the Christmas sermon, Homer steps in and tells the story of the birth of the baby Jesus (Bart), King Harod’s (Mr. Burns’) attempt to have the baby killed and the creation of the first Christmas tree. Grandpa relates to Bart and Lisa the story of how in the Navy he and his older brother Cyrus were fighting in the Pacific in World War II. During a battle Cyrus’s plane is lost and Abe and Mr. Burns (his co-pilot) crash land their own plane. At Christmastime while awaiting rescue, Burns, anxious to shoot at something, shoots down Santa Claus. Abe and Burns help Santa to rebuild his sleigh (only for Burns to later steal.) After Abe gets it back, Santa promises to come back for a follow-up rescue, but never does. After Abe has finished relating the story to the kids, Santa makes his overdue appearance and takes Abe to Tahiti to be reunited with his brother. The kids at Springfield Elementary perform “Perhaps the worst version ever” rendition of “The Nutcracker” ballet according to Superintendent Chalmers. When it is revealed that you don’t have to pay for the music rights it leads to a montage of citizens of Springfield going about their usual Christmas activities to the more familiar pieces of music from “The Nutcracker,” including a sequence where Moe tries to kill himself, and Homer (forgetting as usual) tries to get Marge her present at the last minute. The result of Marge's anger against Quimby’s new toll road leads to the discovery of a frozen mailman and his 40-year-old mail. The old mail is delivered to the recipients, including one to Grampa Simpson's deceased wife, and it reveals a secret love affair and who the real father of her baby Homer might be. Confused and emotional, Homer finds Mason Fairbanks, his wealthy and much improved paternal dad, and happily establishes a father-son relationship with him while rejecting Abe, his surrogate father of 40 years, especially after a DNA test reveals that Mason is indeed his real father. Homer joins Mason on an undersea treasure hunt and when Homer’s life is in mortal danger he reflects upon his childhood and realizes who his true father is. When he confesses that to Abe, Abe has a confession of his own. Bart obtains the key to the steam tunnels under the school and with Milhouse they go down to check them out. When Bart turns just one of the little valves they find in the valve room the chain reaction causes chaos throughout the school. Bart is caught and Skinner wants to send him to a discipline camp in Oregon. When Bart can’t fly there alone, Homer has to drive him there himself and that is going to cause him to miss the trip to Las Vegas that Moe is sponsoring for all his regular customers. While the boys are gone, Marge and Lisa take some of the boys' old stuff and hold a yard sale, but the only things that sell well are their old medications and that gets her into bit of trouble. 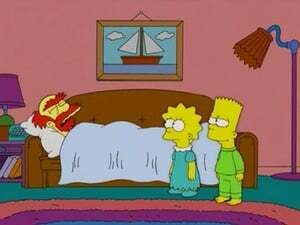 Mr. Krupt is the school’s new gym teacher and introduces Bart and the kids to “BOMBARDMENT!” Bart’s attempt to get back at the new gym teacher results in the destruction of Groundskeeper Willie’s shack and the family takes him in. Lisa decides to make Willie the focus of her science fair project and tries to turn him into a “proper gentleman” with surprising results. 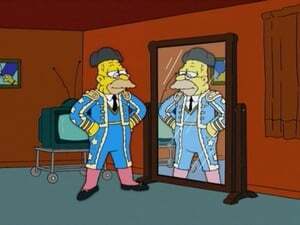 Meanwhile, Homer has ruined his last pair of blue pants and attempts to generate interest in them so the manufacturer will start making them again. 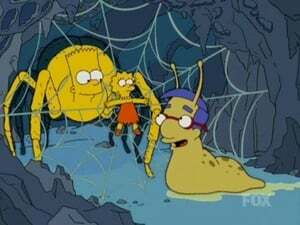 The family is on a nature walk through “Carl’s Dad Caverns,” when Homer tries to get a piece from a stalactite. This results in the family falling through the cave floor and winds up with Homer getting stuck in the ceiling of one of the lower chambers of the cave. Marge, Bart and Maggie go off to find help, while Lisa stays behind and tells her father a story to pass the time. Her story involves running from a bighorn sheep and into Mr. Burn’s mansion. 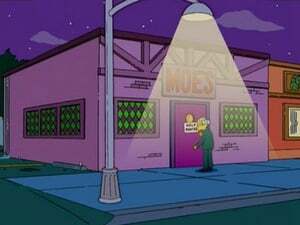 The pair evades the tenacious sheep by finding refuge in the mansion’s attic, where Mr. Burns tells her the story of how he came to work at Moe’s Tavern by losing a scavenger hunt with a rich Texan. While there he learned (and tells to Lisa) the tale of the Moe’s treasure. The stories within stories culminate in the fate of the treasure being determined in the cave. The family is at a church fund-raiser, where Homer tries to ensure his rubber duck onto victory, but Flanders wins the big prize, which he doesn’t want and gives it to Marge. In return Marge agrees to watch Rod and Todd while Ned is attending a left-handed convention. 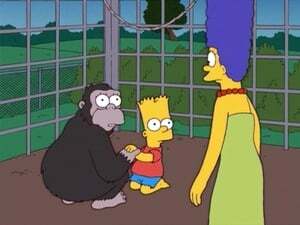 While Marge is spending all her time with the Rod and Todd and trying to let them learn how to be boys; Homer takes Bart and Lisa to a home for former celebrity animals and a monkey kidnaps Bart. Marge’s ability to be a mother comes into question when Ned discovers what she is doing with his boys and the local news covers Bart’s current predicament. Homer is stoked for a party, where Lenny shows off his new plasma screen HD TV. Three days later and Homer still hasn’t left Lenny’s apartment. Lenny eventually gets him to leave and Marge enters them in a contest where they can win a plasma TV of their own. They don’t win, but 3rd place gets them a tour of the FOX studios, where Homer learns about a wife-swapping show where he can win enough money to buy his own plasma TV. Marge agrees to appear and they exchange wives with the Heathbar family. Charles Heathbar winds up falling in love with Marge (who is giving him what he needs), while his real wife Verity finds Homer detestable. Homer spearheads the effort to get pro-football to bring a new franchise to Springfield. The football commissioner, on his way to officially award the franchise, stops at the Simpson house where Grandpa (mistaking him for a burglar) attacks him. Springfield loses out and Abe becomes the town’s pariah. After trying and failing assisted suicide, Abe decides to live his life without fear and when the town decides to reuse their football stadium as a bullfighting ring, he volunteers to be the toreador. Ever the activist, granddaughter Lisa protests his new profession. At the power plant a movie is shown where the workers endorse outsourcing and Mr. Burns announces that he is closing the plant and moving the work to India. Homer is the only union employee left on the payroll and he is sent to India to train the replacement workers, when he succeeds beyond expectations, he is given total control of the plant and declares himself a god. Meanwhile, Selma & Patty take Bart and Lisa to their MacGyver convention. When they discover Richard Dean Anderson doesn’t like MacGyver and much as they do, they kidnap him in retaliation. Anderson escapes only to enjoy the thrill and he turns himself back in so that he can escape again. 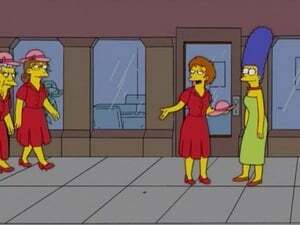 When it happens over and over again, soon Patty and Selma are the ones who need a means of escape. As the family waits for their food at “The Frying Dutchman,” they pass the time by telling stories. Lisa tells about the Mayflower’s journey to America, where Marge and her kids are Pilgrims and they are joined by a knave named Homer who joins their family to escape the authorities. 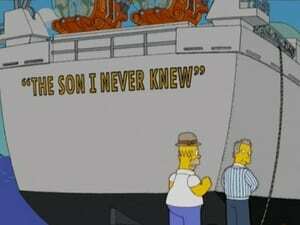 Bart recounts the story of Mutiny on the Bounty featuring Skinner as Captain Bligh and Bart as Mr. Christian. Homer tells the tale of the maiden voyage of a cruise ship in the 1970s featuring of a ship that can’t flip over, which of course it does and the attempts of the survivors to get out of the ship alive. The family attends "Stab-A-Lot: The Itchy and Scratchy Musical." The musical's director is a graduate of Springfield Elementary and Principal Skinner puts his foot in mouth when he makes sexist comments about her education and that of women in general. He tries to make the situation better, but only buries himself deeper and deeper until he is fired and replaced by Women's Educational Expert Melanie Upfoot. The first thing she does is split the school into girls and the boys. Lisa dislikes the way girls are being taught math and she ventures over to the boy's side of the school in search of a challenge. Disguising herself as Jake Boyman she starts attending the boy's school but while she finds the math problems more interesting, it is being a boy that is a greater challenge. Marge goes on a cleaning frenzy before the housekeeper she’s won the services of comes to the house. One spot remains and she mixes a number of toxic cleaners together to tackle the job. The noxious mixture knocks her out and she wakes up suffering from amnesia. Marge is taken home and the family tries to bring back her memory. She starts to get back memories of her children and other insignificant things, but when it comes to remembering her husband, nothing he does seems to jog her memory. 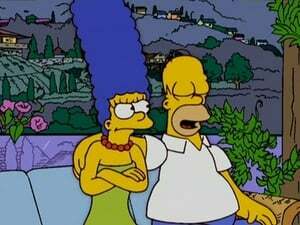 When he can’t get her to remember him, he tries to win her all over again, especially after Patty and Selma get her back out on the dating scene. 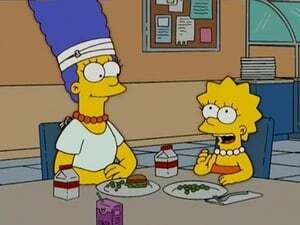 Working through their checklists of things to do before summer ends, Lisa gets the family to go a museum. At the Springfield Museum of Natural History there is an exhibit Lisa is excited to see on Women’s History turns into an exhibit on the history of weapons, which excites Homer and Bart. When Flanders sees the exhibit of evolution and another that mocks creationism, he raises an alarm. 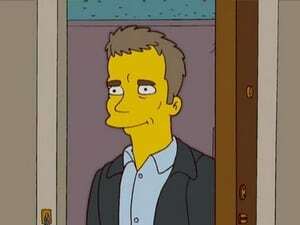 Reverend Lovejoy gets Skinner to have creationism taught in school. Lisa is the only one who holds onto the scientific theory. She brings the topic up at the town meeting and the town votes to teach only one theory, creationism. Lisa decides to hold her own class on evolution, until she is arrested. The ACLU gives her a lawyer who is up against a slick Southern lawyer, but ultimately it’s a family member that is a key to her defense.